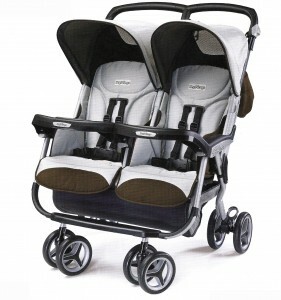 New for Spring, Peg Perego has a ton of new stuff coming out. The company has virtually redesigned their whole collection after they changed their signature ‘freedom of movement’ harness to a more conventional 5-point harness on all of their products. 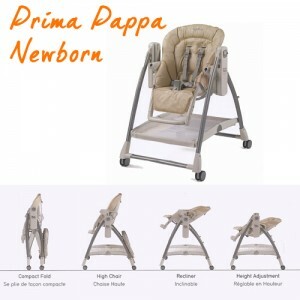 Other big changes include a newly re-modeled Skate, a new lightweight travel system called the Vela and a new highchair called the Prima Poppa Newborn. New for 2010, the Skate will no longer be a one-piece unit that converts into 2 pieces. 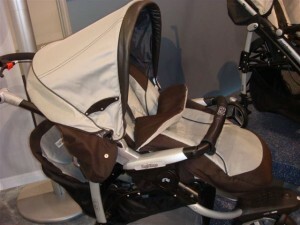 For the same price, Peg Perego has designed 2 separate pieces; a bassinet for infants and a toddler seat babies 6 months and up. 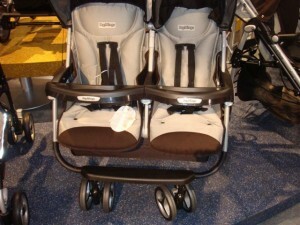 Like the previous model, both unit are height adjustable and reversible. To help parents and take out the guess work, Peg has added pictures to the connector to show where it should be set for each piece. 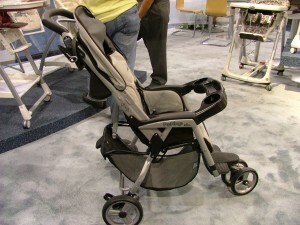 This new lightweight stroller weighs in at a mere 9.5lbs. 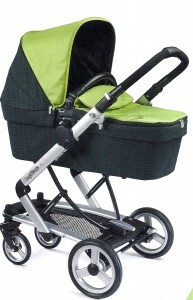 It’s unique design features a pair of wheels at the front, much like an all terrain stroller. 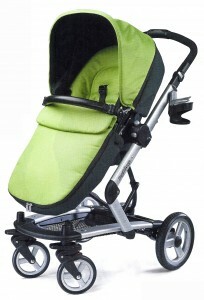 A big feature for this stroller is it’s ability to accept a car seat. I love that it has a snack tray. You don’t see that very often on a stroller in this weight class. 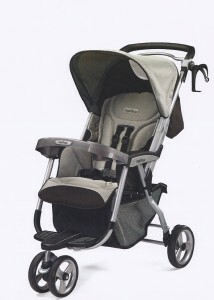 In order to make the Si easier to accommodate a car seat Peg Perego has added a bumper bar that can be adjust to support the back of the Infant car seat. 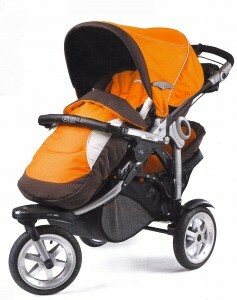 New fabrics and an improved harness round out the changes for this lightweight travelsystem. 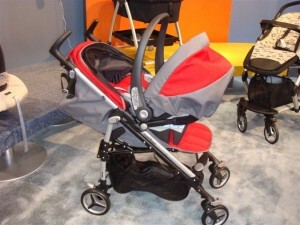 Peg’s only all-terrain stroller is getting an interesting new feature: a second seat. The shopping basket looks to have been expanded to accommodate a ‘rear sling seat’. 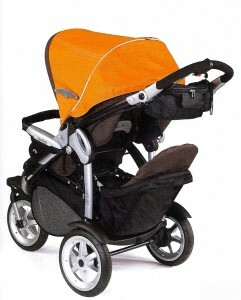 No weight limit has been revealed for this seat, but comparable features on other strollers have a +/- 3o lb weight limit, which may be the case here. 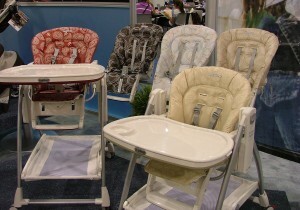 This entry level highchair will be great for parents who are low on space. The fully reclining seat lifts off to allow the frame to fold almost flat. Comes in 5 fabric patterns; 2 bandanna patterns and 3 circle print patterns. 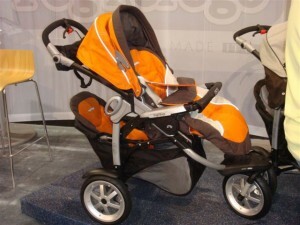 While the Aria will stay a 60/40 to accommodate an infant seat on one side, It will get new fabrics, bigger tires and a narrowed wheel system, new 5-point harness system and easier to use wheel locking system. 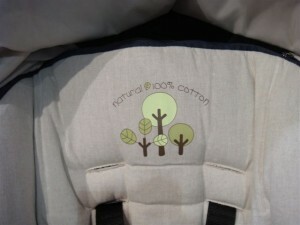 One option for the Pilko will be a version made in new soft cotton fabric that has been designed to be water and stain resistant. Offered in Navy and Burgundy.